Immaculate 4 season home on the lakefront of Island Pond. 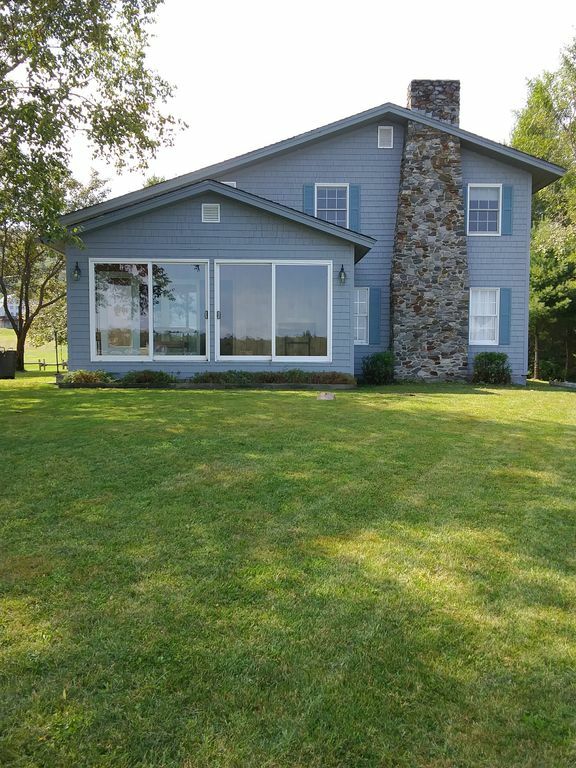 This 3 bedroom house with lake views, is the perfect vacation rental for snowmobilers, bikers, atvs, boaters or just someone looking to relax . The 1st floor master has a queen size bed and two upstairs bedrooms each have full size beds. Full kitchen and two bathrooms. House has a beautiful 4 season sun room overlooking the gorgeous lake front. Right off the VAST trail and only steps away from the boat launch. Downtown is 2 miles away where there are shops, dining, fuel and great summer concerts. Kingdom trails is about a 20 minute drive and Jay Peak is about a 50 minute drive. We are a Vermont family of four who loves what the Northeast Kingdom has to offer. We have been in this area for over 15 years and can't imagine spending our free time anywhere else. We own and operate an automotive service facility and towing & recovery business in Vermont and enjoy the quietness of the Kingdom to get away from the daily hustle and bustle. This property is the ideal Northeast Kingdom getaway. If you love the outdoors and what is has to offer, this is the place. What other place can you snowmobile, ski/snowboard, ice skate, snowshoe in the winter time to swimming, boating, hiking, fishing and hunting. It's got something for everybody. We hope you check out what Island Pond has to offer and what better way than to stay on the lake. Great property on the lake for our family to enjoy snowmobiling. House is well kept, And Clean! Location was exceptional for our snowmobiling weekend. Plenty of parking for the trailer and vehicles. House is well kept, clean, and the owners were a pleasure to deal with. We will certainly return for other vacations with family. Clean, quiet, comfortable, great location to access snowmobile trails. Great sunrise when it’s not snowing! The house had everything you could need located on the water, beautiful view, quiet neighbors. We loved our stay.